The site may contain links to other sites. These other sites were independently developed by parties other than Trophy Foods Inc. unless stated otherwise, and Trophy Foods Inc. does not assume responsibility for the accuracy or appropriateness of the information contained at such sites or endorse the viewpoints expressed at such sites. Also, any mention of another party or its product or service on the site should not be construed as an endorsement of that party or its product or service. 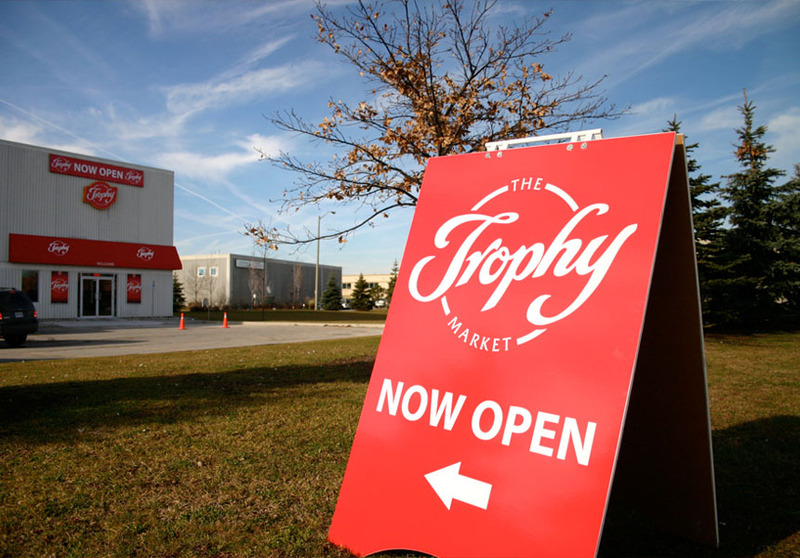 Information provided on the site by Trophy Foods Inc. is believed to be reliable when posted. However, Trophy Foods Inc. does not guarantee the quality, accuracy, completeness or timeliness of the Information provided. Information contained on the site may contain typographical or other errors. Information provided may be changed without notice. Trophy Foods Inc. is not responsible for any direct, indirect, special, incidental, consequential or any other damages whatsoever and howsoever caused, arising out of or in connection with the use of the site or in reliance on the Information available on the site, including any personal injury, business interruption, loss of use, lost data, lost profits or any other pecuniary loss, whether in an action of contract, negligence or other tortuous action, even if Trophy Foods Inc. has been informed of the possibility thereof. If you do not agree to be bound by the above terms and conditions then please exit the site. What information does Trophy Foods Inc. collect and how is it used? 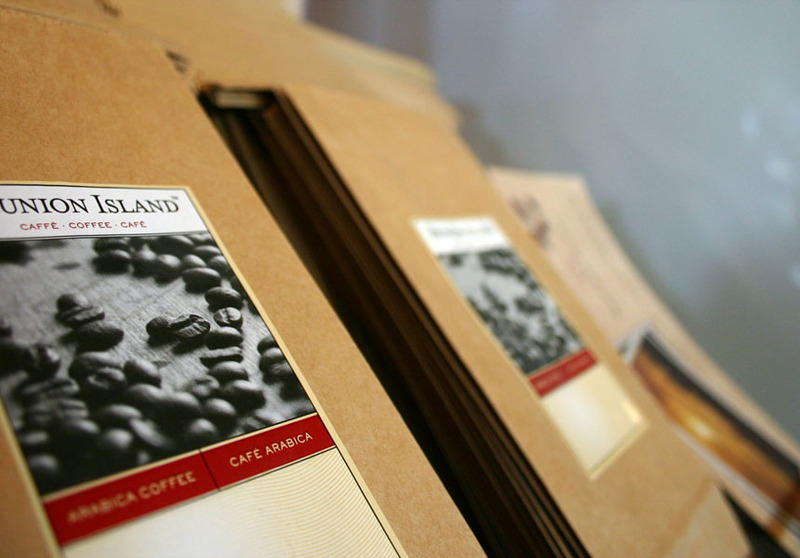 Personal information typically includes your name, address, phone number, and email address. You can always choose not to provide us with any of your personal information. However, if you make this choice, we may not be able to provide you with the product, service, or information that you requested. 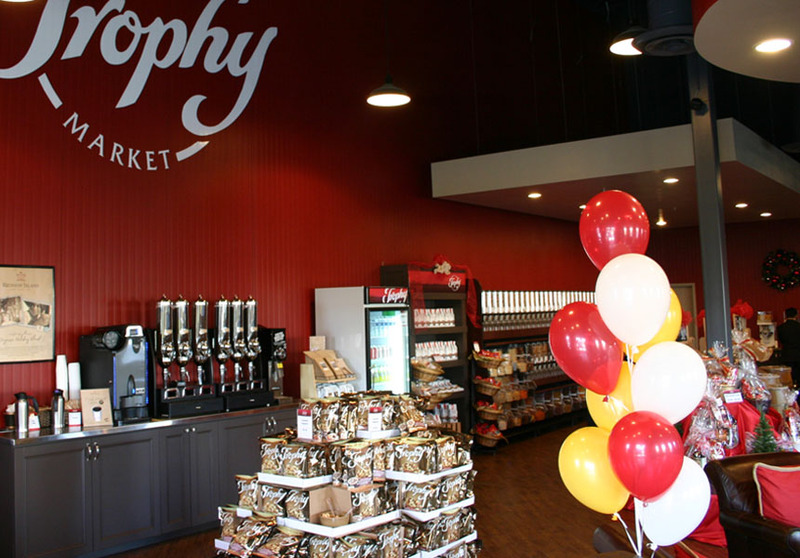 Trophy Foods Inc. is committed to providing a barrier-free environment for our clients/customers, employees, job applicants, suppliers, visitors, and other stakeholders who enter our premises, access our information, or use our services. As an organization, we respect and uphold the requirements set forth under the Accessibility for Ontarians with Disabilities Act (2005), Customer Service Standard, and the Integrated Accessibility Standards Regulation for Information and Communications, Employment and eventually for the Built Environment, if required. Assistive devices, mobility aids, service animals (where allowed) and support persons. 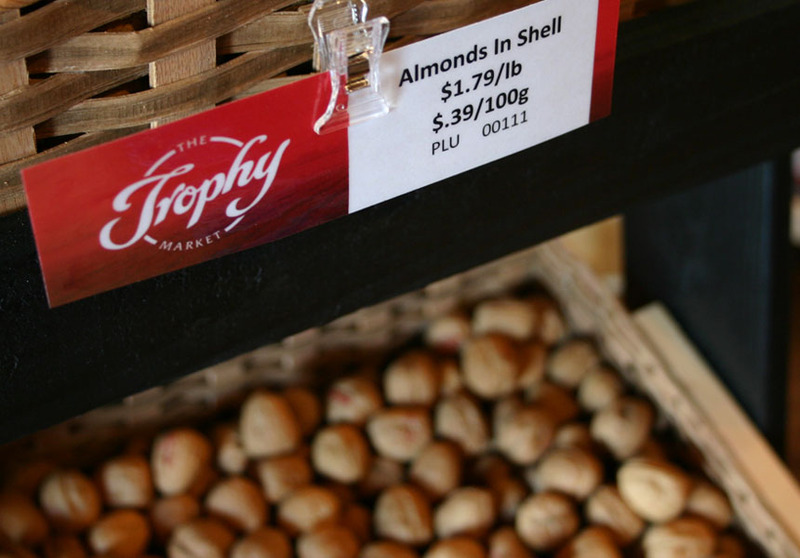 Trophy Foods relevant policies and procedures regarding accessibility. 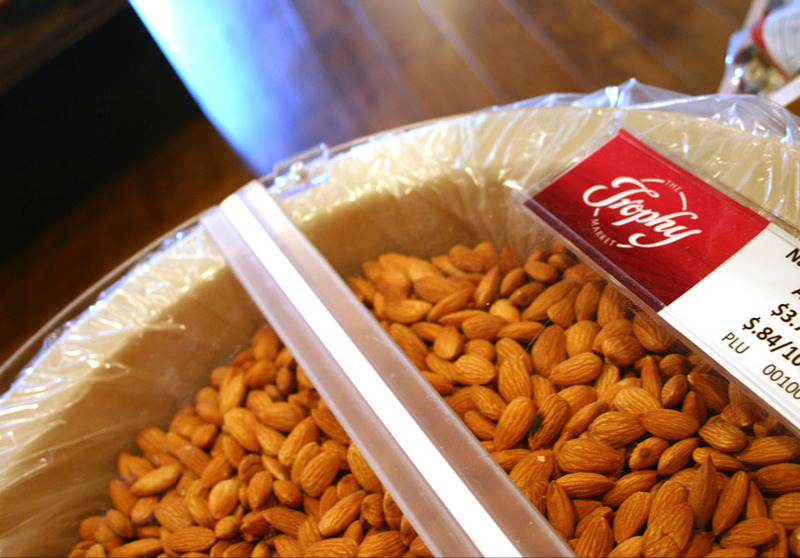 Trophy Foods realizes that providing accessible and barrier-free environments for everyone is a shared effort. As a community, all businesses and services must work together to make accessibility happen. For more detailed information on our accessibility policies, plans, and training programs, please contact our Human Resources department. 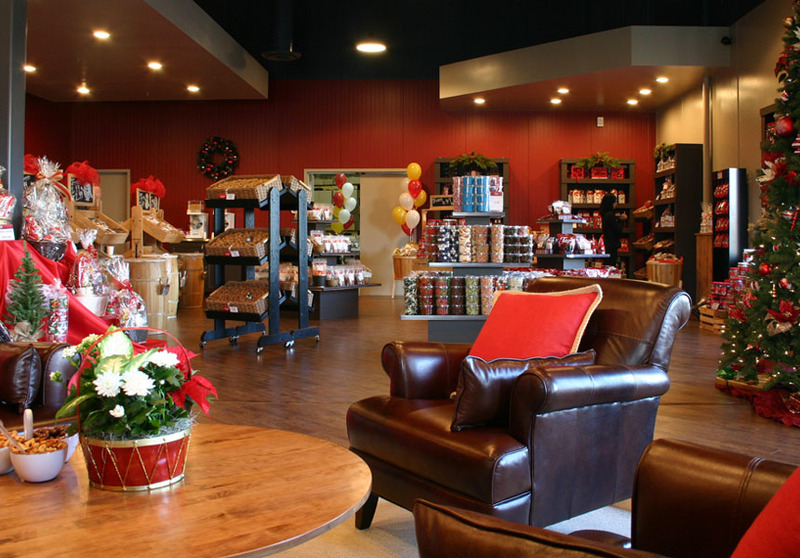 Our Trophy Factory Market is open to the public and offers a wide variety of products that we manufacture fresh daily using only the finest methods and ingredients. 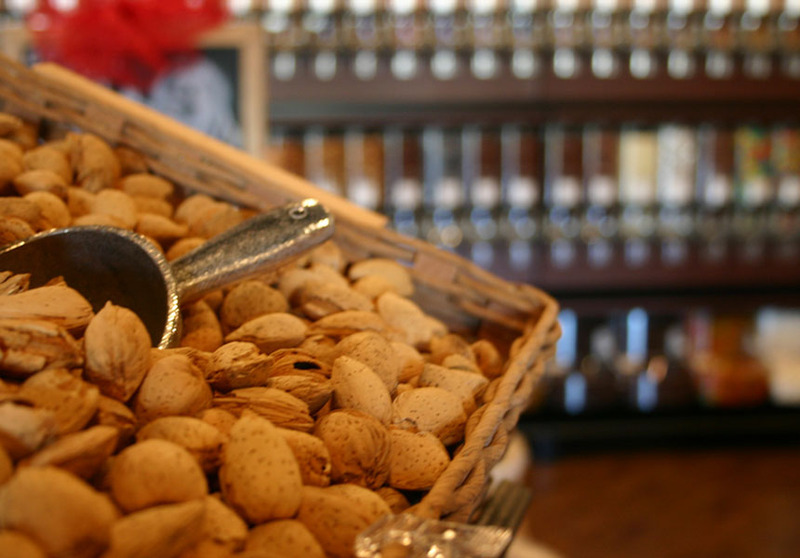 Straight from the farm and to your door in the simple tradition of days gone by. 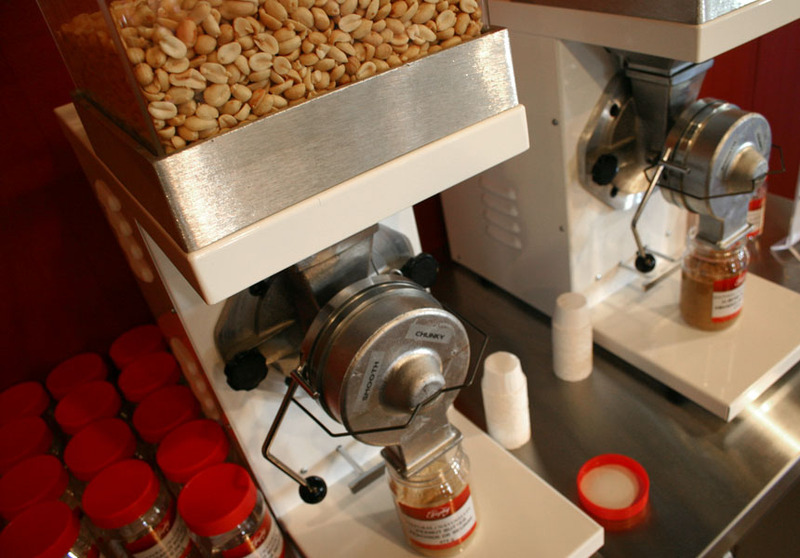 Stop by for a chat and enjoy our premium fresh grind coffee bar or experience the traditional process of grinding your own peanut and almond butter using freshly roasted nuts with no additives or preservatives. 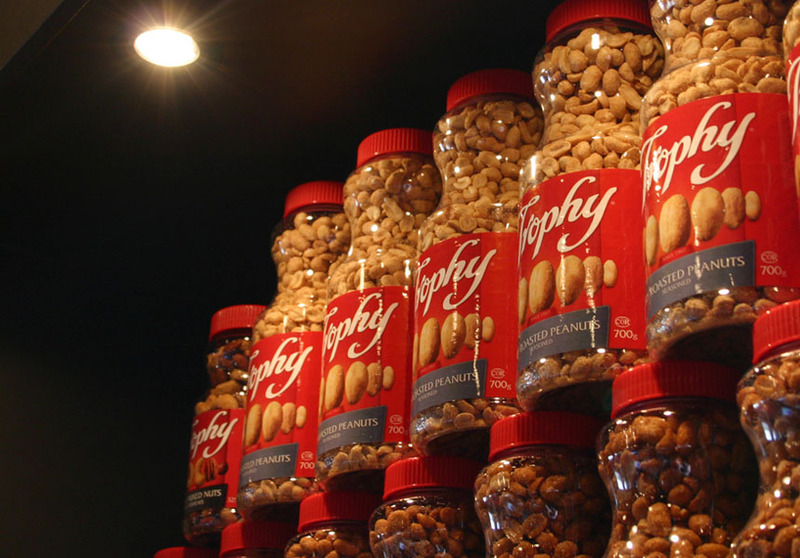 The Trophy Market is simply your best source for quality roasted nuts, dried fruits, confectionary and candy. Entrance to Market off of Edwards Blvd.